I belong to a RAK group. That sounds almost 'wrong', doesn't it? Because if the premiss is to do these act of kindness out of the goodness of your heart and not because you have to, then, can you have assignments? Anyway. I needed to get a card done, and sometimes my creativity needs a little jump start. Between working full time, and taking care of my husband and dog, my crafting time is very limited. I'd love to work part time, and have more time to play in my craft room. But, like the rest of you, and I have bills to pay, a mortgage and the other costs of living. So, now for my inspiration. The Stampin' Queens Sketch Challenge have a very creative sketch this week. The elements in this sketch, are very easy to work with, and very fun! The decorative square was fun to work with. But, you could add an oval, a rectangle, a frame lit, pretty much any shape that gives you some real estate to work with. 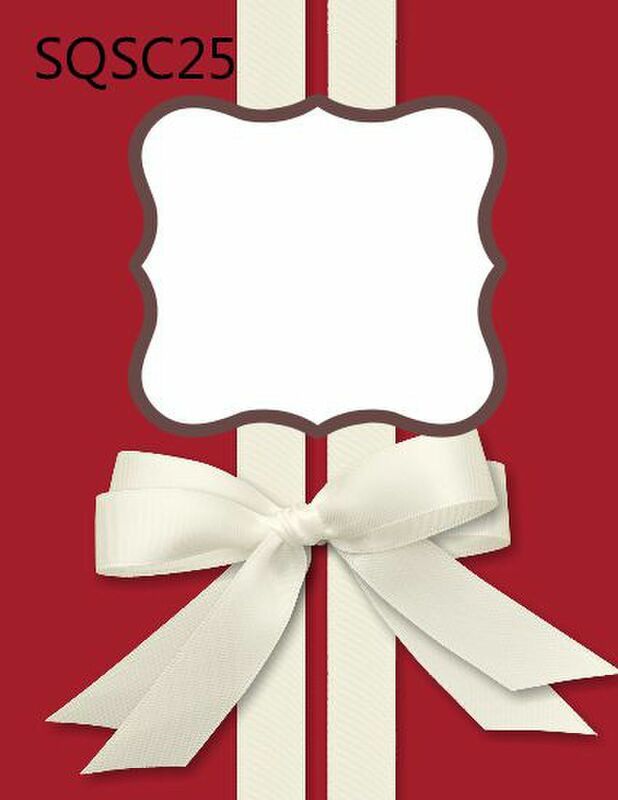 The double white vertical lines made me think of ribbon. 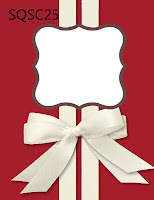 But, they could easily be decorate strips of paper, or a decorative trim piece. I didn't see a 'sentiment' so I added mine to the lower left side. But I imagine that you could add yours anywhere. A tag hanging off the bow. The place the SQSC25 is located. Or even somewhere on your decorative square. See, a lot of options! I just love the way crumb cake and basic black look together. So refined. So elegant. So, that is where I started with my card. I cut a scrap piece of crumb cake card stock and matt it with a scrap piece of basic black card stock. I took out two stamp sets that haven't been inked in awhile; Delicate Doilies and Kindness Matters. The doilies were stamped in basic black and crumb cake classic inks, and versa mark. I took a scrap piece of very vanilla card stock and cut it down to the size of the embossed rectangle. 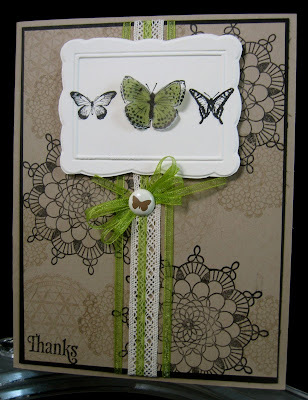 I stamped the butterflies in basic black and then dry embossed them. I re-stamped the butterflies onto vellum card stock. I colored the back side of the vellum with a lucky limeade marker. I wrapped a piece of crochet trim the length of the card. I then wrapped lucky limeade 1/8" sheer ribbon. I made a multi-loop bow and used a new SAB brad to hold the bow onto the card. I love your card Sharon! :) I dont own Kindness matters, but I may just have to buy it now, after seeing your card! :) Thanks for the inspiration!